Today we want to highlight a great Charlotte area vendor that is doing some amazing things in the photography space. This week’s vendor spotlight is focused brightly on More Beatty of More Beatty Photography who is using her unique talent to capture truly stunning images that will take your breath away! More has the unmatched ability to capture some of the most beautiful wedding pictures I have ever seen. She has a true passion for what she does and it is reflected in every frame she takes. But More is not only a great photographer but she’s also a great person. So we wanted to share her greatness with you. We recently sat down with More to find out more about her and love we share for all things wedding! A few of my couples did an “unplugged” ceremony. It gives the guests a chance to be present at the ceremony and not focus on their phones.It is becoming more popular now and its something I definitely recommend doing! One of my couples last year wrote letters to each other that they read during the first look. It created such a sweet intimate moment of just the two of them and it just melted my heart! One of my couples handed out roses for their moms during the ceremony and that was just the sweetest moment. Both moms started crying and it was just such a beautiful moment. Do not stress about anything! This is your most important day and just enjoy it as it is. Your only job is to have fun and love each other!! You can hire a planner to do all the stressful things for you (worth every single penny!). We want to say thank you to More for taking time to share her insight and passion with us! Go check her out, trust us you won’t be disappointed! Want more tips and help planning your big day? 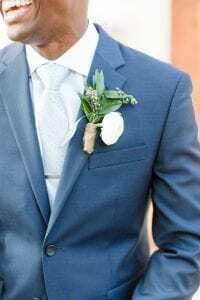 Contact Magnificent Moments Weddings, we got the inside scoop on all things wedding in the Charlotte area that we would just love to share!